Magnum must help Rick’s crush, Toni (guest star Jamie-Lynn Sigler), after her illegal poker game, organized to pay back a mob debt, is robbed by masked gunmen. Corbin Bernsen guest stars as Icepick, an incarcerated father-type presence in Rick’s life. 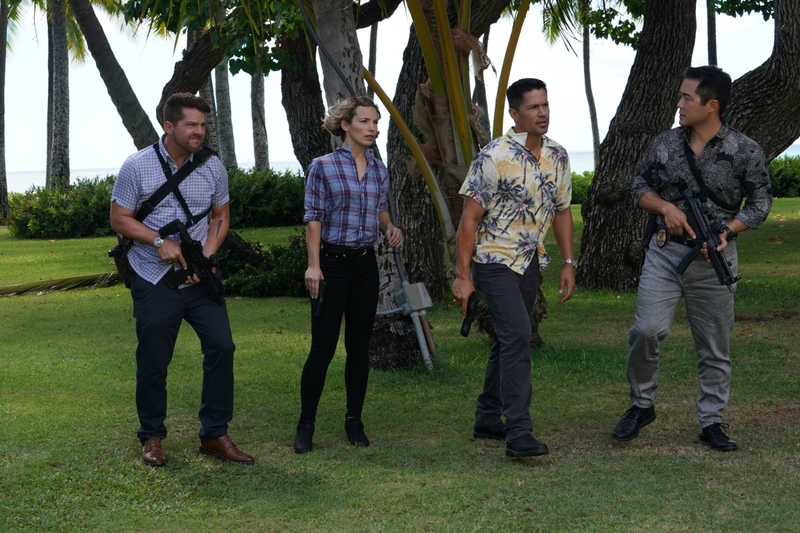 Cast: Jay Hernandez (Thomas Magnum), Perdita Weeks (Juliet Higgins), Zachary Knighton (Orville “Rick” Wright), Stephen Hill (Theodore “TC” Calvin), Tim Kang (Det. Gordon Katsumoto). Guest cast: Corbin Bernsen (Icepick), Jamie-Lynn Sigler (Toni), Hahn Cho (Russell Chang), James Chan (Philip), Mark Ah Sing (Akamu), Rich Ceraulo Ko (Charley Franks), Suzen Murakami (Mrs. Franks), John Quincy Adams (Captain), Kawika Smith (Pascale Parata), Peter Jang (Terry Kanaraot), Matt Mullins (Mike Davis). Air Date: Monday, Dec. 10(9:00-10:00 PM, ET/PT) on the CBS Television Network.